This past Monday, I conquered my fear, and ran the Boston Marathon. Ever since last year’s difficult weather and race conditions, I have been very afraid of the Boston Marathon. So on Monday, my goal was not a personal record, but just to have a redemption run. A run where I erased my negative experiences of the previous year, and tried my hardest. And that I did. No marathon is ever easy (or maybe for some it is? ), but running 26.2 miles is difficult for me. No matter how many times I do it, it is always a challenge. 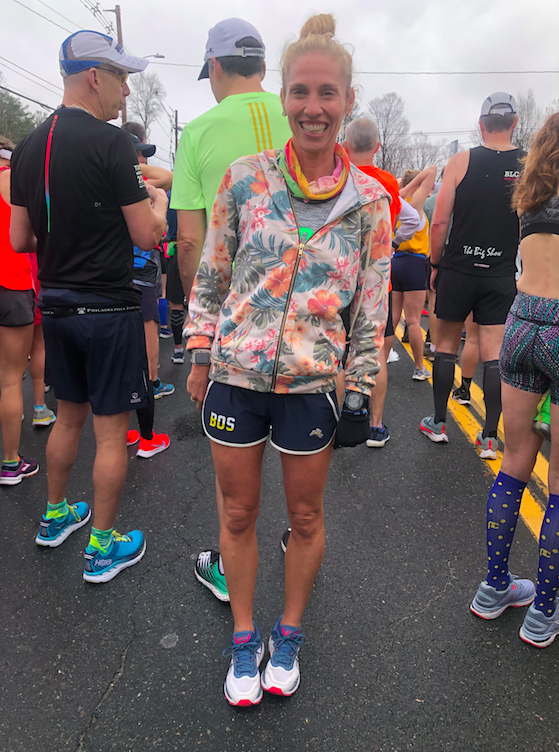 And on the Boston Marathon course, it is even harder — the Northeast weather conditions are spotty, the start line is far away and requires a marathon of sitting and waiting BEFORE the marathon, and the course itself is extremely difficult with so many hills — TOUGH TOUGH hills. But I did it — I went out there, tried my best, had a fun (yes, I did), challenged myself (ohhhhh yes, that, too), and ran a good race. Expo. One of my best college friends lives in Boston, and so she was a wonderful host and driver. She picked me up at the airport, drove me to the expo, cooked me the perfect dinner, and then drove me to the start line. Thanks, Gigs! I was dropped off at the bus at 7:30 am, and it took an hour to get to the start. It had been pouring POURING rain all night long and the morning. Due to my experience last year, I knew that I needed to bring a lot of rain gear, and throw away shoes and socks — and I am so thankful I did. 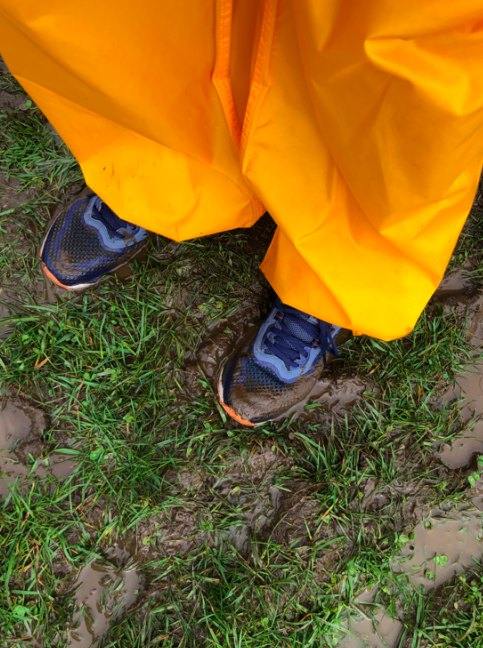 The field where the portapotties were located were A MUD BATH and my feet were sopping in mud like no other!!!! It was hard to walk because there was so much mud!!!! This is me at the start line. A girl next to me asked if I could take a picture of her — and I said sure, and then asked her to do the same for me. 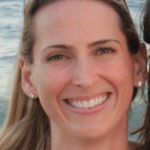 I started talking to her, and turns out SHE IS FROM EUGENE MY HOMETOWN! And went to my high school!!! But she was 24 and me…..much older. But how small is this world? 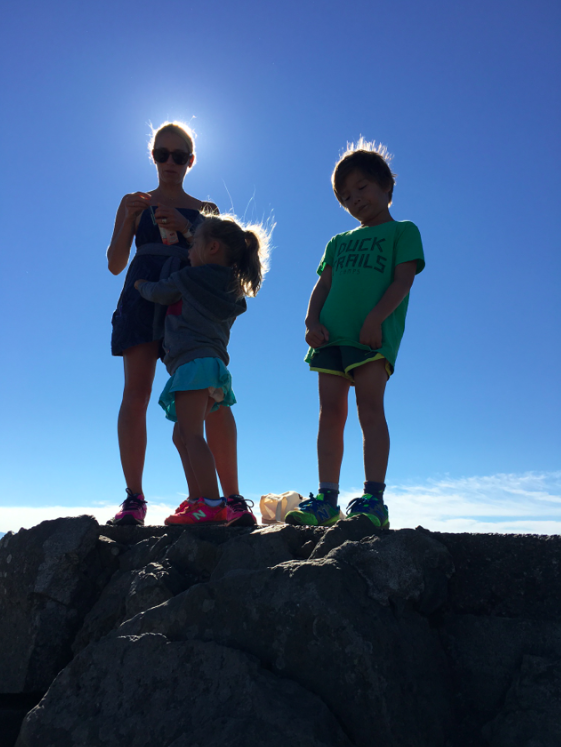 I love the running community……. And I also love social media community! After my college friend realized that there was no way she could pick me up at the finish line, drive me to her house, and then have me get to the airport in time for my flight, someone I (barely) knew saw a picture of me that I posted from a year before at the finish line, contacted me and said she lived close to the finishh. So I replied — can I COME OVER AND TAKE A SHOWER? Small small world. 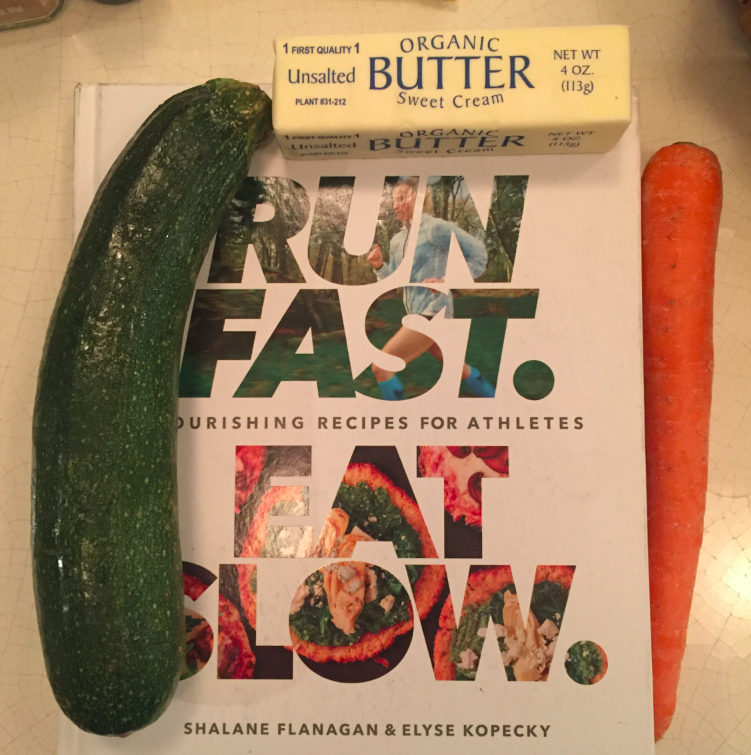 Not only was she so kind and let me take a shower at her place, but she also made me my favorite post-race food.. 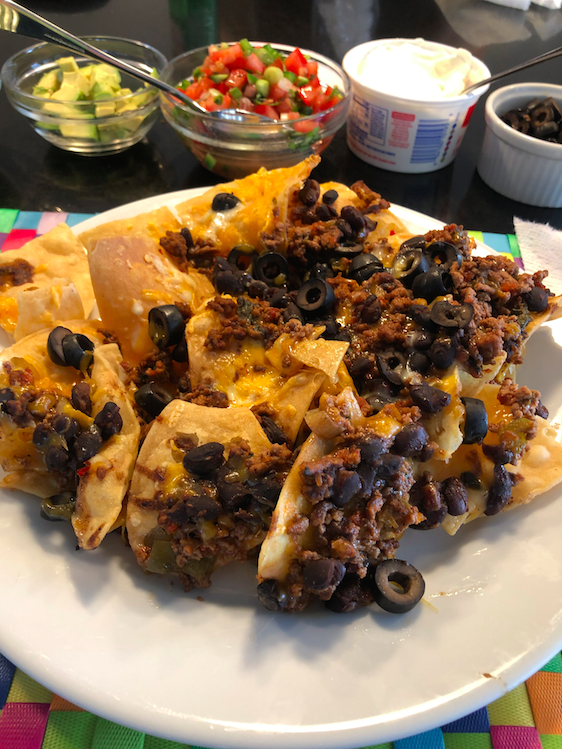 NACHOS!! They have always been my go to and this time around, they tasted oh so great. And then my new friend called me an uber after my quick turn around of shower and gulping down nachos and off I went to the airport! 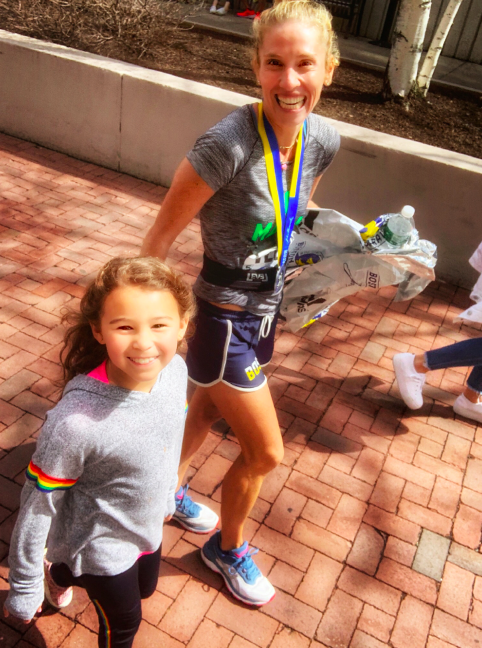 45 minutes at her house was such a kind gift and I can’t wait to repay a random act of kindness to someone else — it made all the difference and was one of the highlights of my Boston Marathon experience. 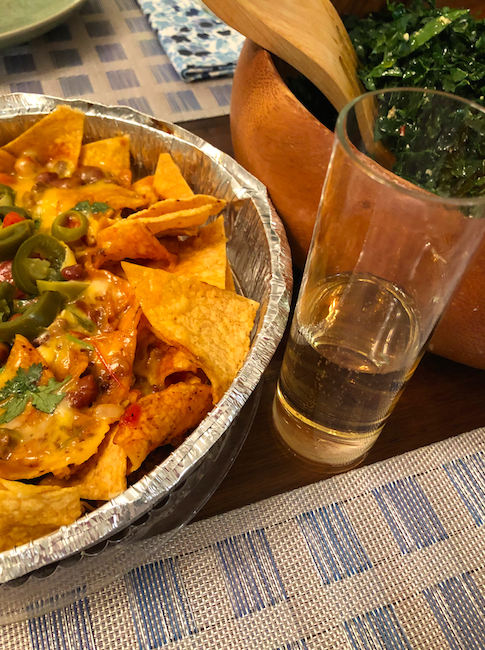 When I finally arrived back in NYC, I had a second round of nachos, a gallon of champagne and some kale salad. The best. Overall, this marathon was a great experience. Hard and challenging, but rewarding. I ran a 3:22, which I am super proud of. 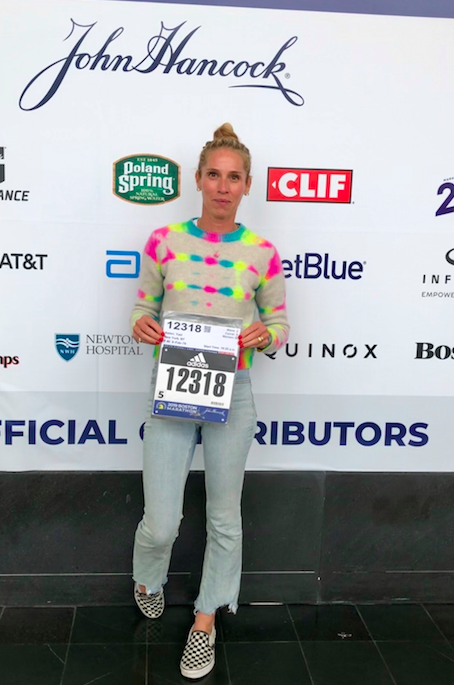 The hills felt like mountains, the crowds were incredible, the weather was hot and humid and I finally have a good impression of the Boston Marathon. Thank you to my countless friends who supported, encouraged, motivated, and loved me through this whole process and race day. It was unbelievable to have friends contact me when I was running — I felt that energy and it helped me — so thank you thank you. 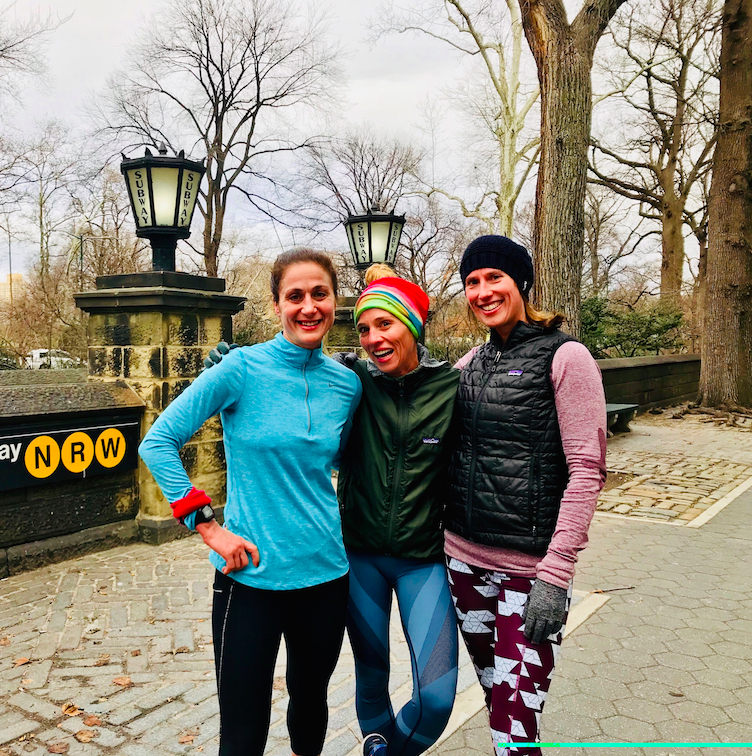 I am currently back on the marathon track — training for Boston Marathon 2019 in April….I must say that it is much harder to find motivation and inspiration to run in the freezing cold in the dead of winter….which is why having the right playlist is THAT much more important. Here are the tunes that I am currently loving to run to. One of the things I love most about running is I get to be a part of my surroundings. 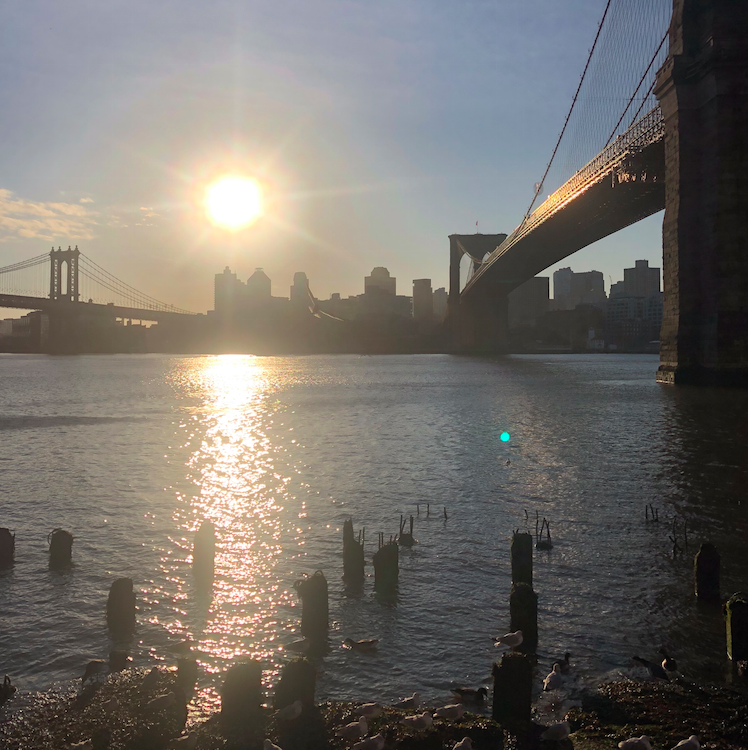 This past weekend, I had a 15 miler and ran the whole perimeter of Manhattan — I love seeing the views, the people, the energy, the natural beauty, my island, everything and anything. I am currently in the process of training for two fall marathons (Chicago Marathon in October, and NY Marathon in November where I will be running as a guide for a disabled runner). 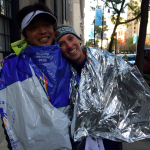 Although the training is tiring, long, and challenging, it is also my favorite part of the whole marathon. In all of my previous marathons (10 overall), I have had different techniques / training / ideologies and approaches. Here is what I am doing THIS time around. Mid long run stretch. I think between miles 14-15. I sometimes takes breaks to drink / eat / breathe / rest. Like most marathon runners, I am competitive and type A. Typically when I run a marathon, I care about my time and have a strong desire to get a personal record (PR). There have also been marathons where I have not focused on time (NYC last Fall and Boston this Spring) and simply run. But for the most part, I go out there to prove to myself that I am doing my best and getting faster. 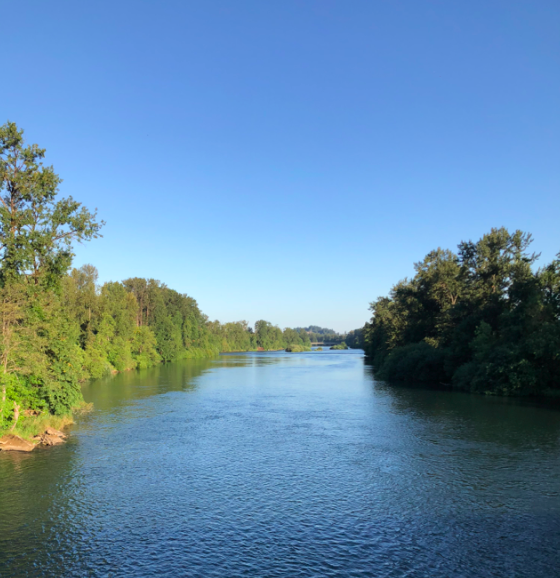 Training in Oregon is great with its beauty of all the trails and rivers. So how do I prepare? It takes MONTHS to get ready to run a marathon. I tend to start 16-18 weeks ahead of the marathon to get ready in prime marathon shape. 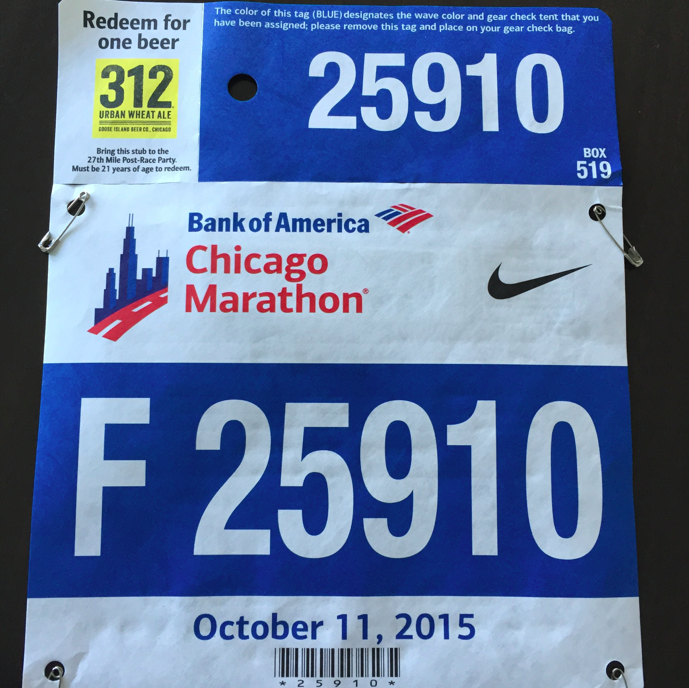 All of this to say, that to prepare for a marathon you RUN a lot. I know that this is stating the obvious, but I usually run between 45-60 miles a week, each week. But in every run, I vary the intensity, the distance, the course, and the overall effort. 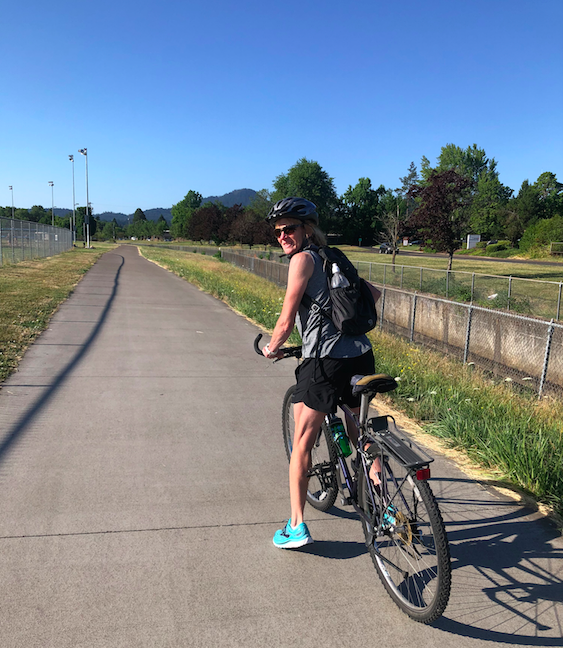 I am lucky to have a good friend, Nancy, who is 60 and a marathon runner herself, who will often times get on her bike to pace me and keep me company in those long runs in the early morning. Makes the biggest difference! So I run 6 days a week with one rest day. 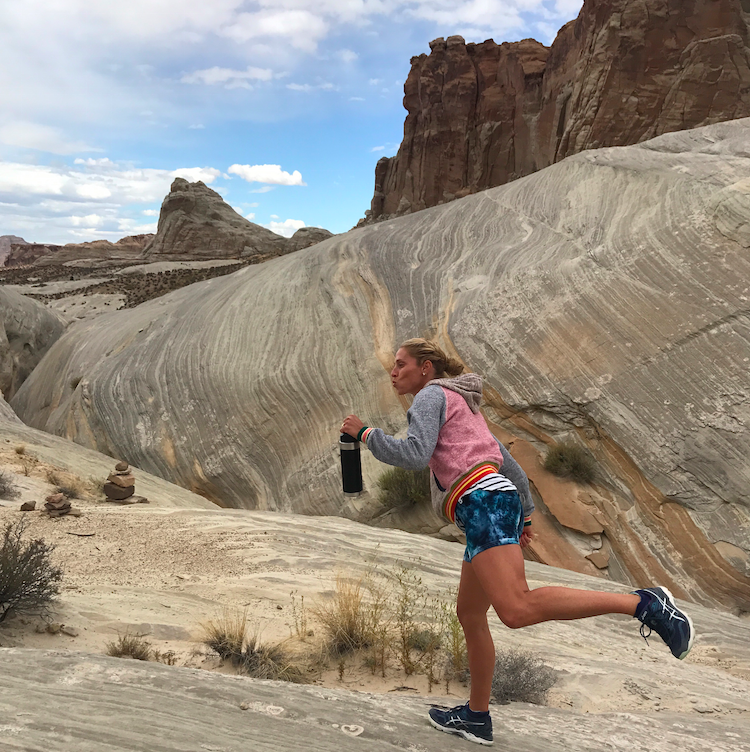 During these six days of running, I have some easy runs (at a slow pace), a long run (with varied speeds, some with progressively getting faster and faster and faster), speed runs on track, speed runs on pavement / trails / roads, and tempo runs. There are days when I feel like I have had the best run and days when it is a challenge and I want to throw up. 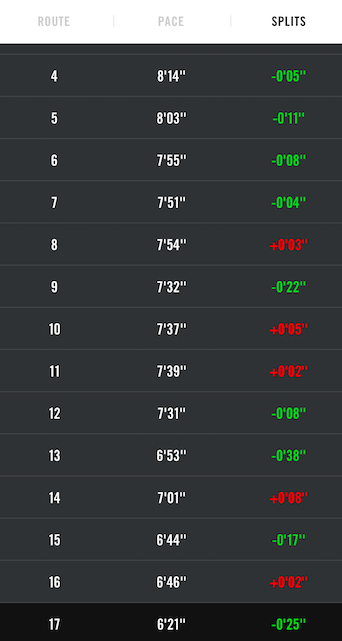 All of these runs make me faster, stronger mentally, and up for the challenge of facing the day. 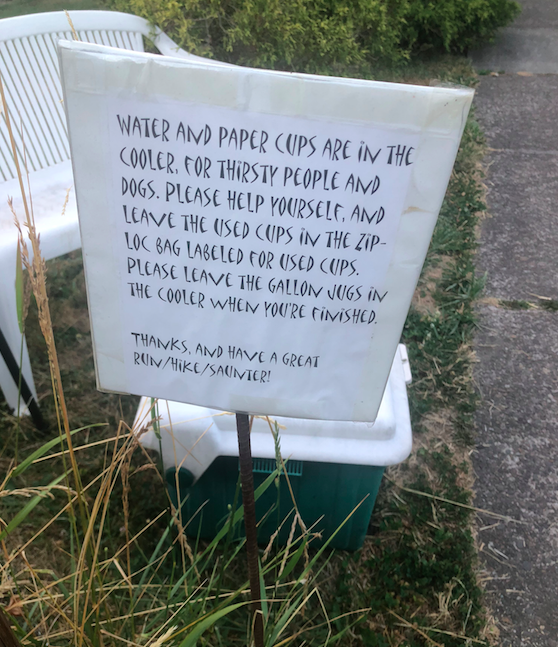 Eugene is filled with lots of runners (a ton of elite runners train out here) and the neighbors lare all runner-friendly. 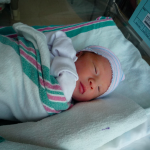 Makes my heart all warm and fuzzy, and helps me on those long runs! 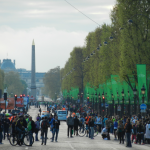 Basically, I am stating the absolute obvious, but to prepare for a marathon, you simply RUN. RUN A LOT. But short story, you mix up those miles and change here and there, and then finally, wam bam 16 weeks go by,and it is marathon day! 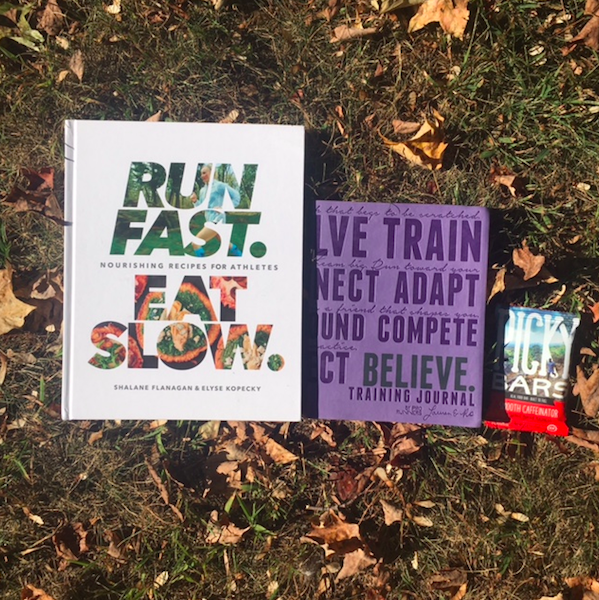 So, Fall marathons, I am getting ready for you and can’t wait — but also enjoying the current state of preparation. I did a progressive run this past weekend – 4 miles at an easy pace, 4 at 8 min pace, 4 at 7:30 min pace, 4 at 7:00 pace, and last mile HARD. I was super nervous leading up to the run, but I gave it my all. And I did it. Super hard work that I am really proud of myself for doing. If anyone has specific marathon questions, let me know. 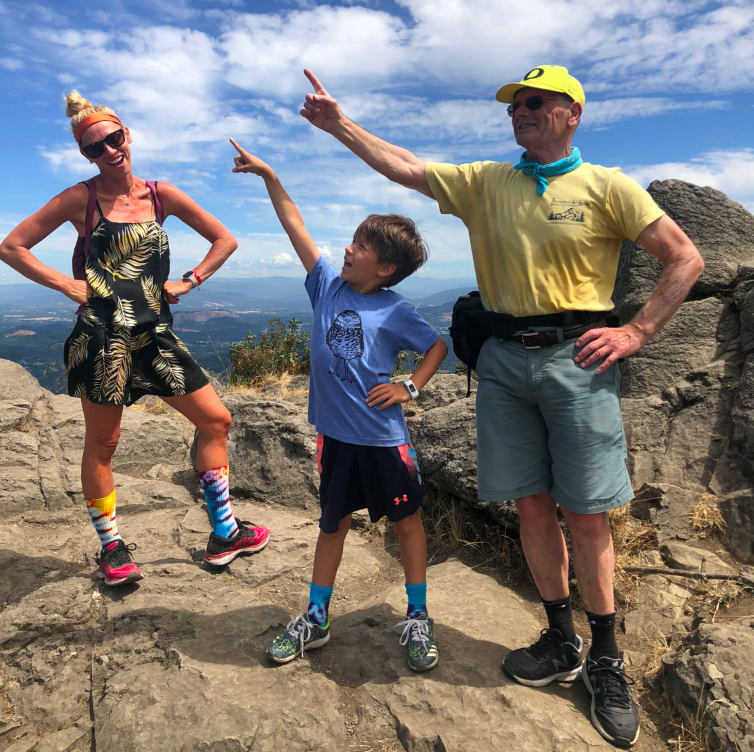 I love talking about running (kind of like some people talk nonstop about their jobs or kids, well, I can do that with running!). Hope you are off to a great week and enjoying August! At this point, loyal readers are probably sick of hearing about my marathons and the recaps. I know — I get it, in the past 4 years, I have completed 9 marathons — and in the last 7 months, THREE! There is not much more to say that is different about each race, and yet, this race is different. 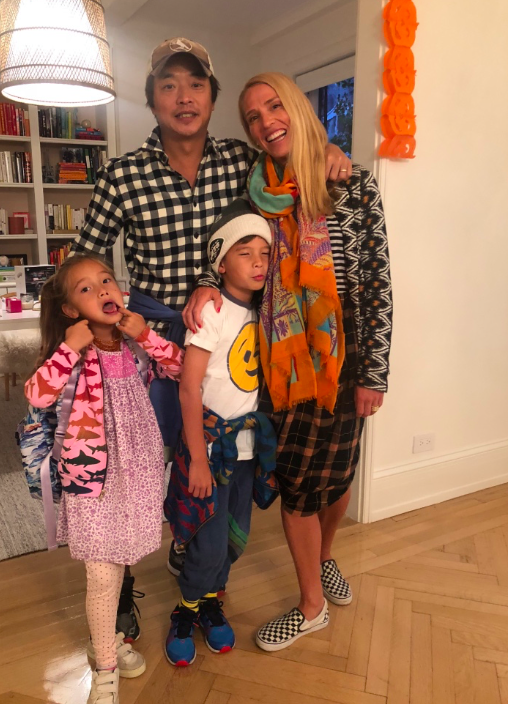 The NYC marathon is the most incredible marathon on the planet, and this year, when I gave up any expectations and ran to enjoy myself, was even better and more successful than imaginable. Giving up expectations, having no pressure, and just relaxing in to the moment made all the difference. I soaked up every second, looked at the views, talked to people, applauded my fellow runners, and truly enjoyed every minute. Good or bad, I decided that my outfit for the marathon was going to be the exact same one that I wore a month ago for the Chicago marathon — yes, much colder temperature wise in NYC (my mistake in Chicago) but the shirt was a success in Chicago, so I went for it again in NYC. And man oh man, SUCCESS it was. Literally, once a minute, someone in the crowd would yell “Go Mama” — and I would yell “Thank you” and wave my hand up. 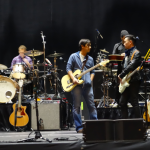 It made me feel connected to the crowd and all their energy and positive vibes definitely helped. 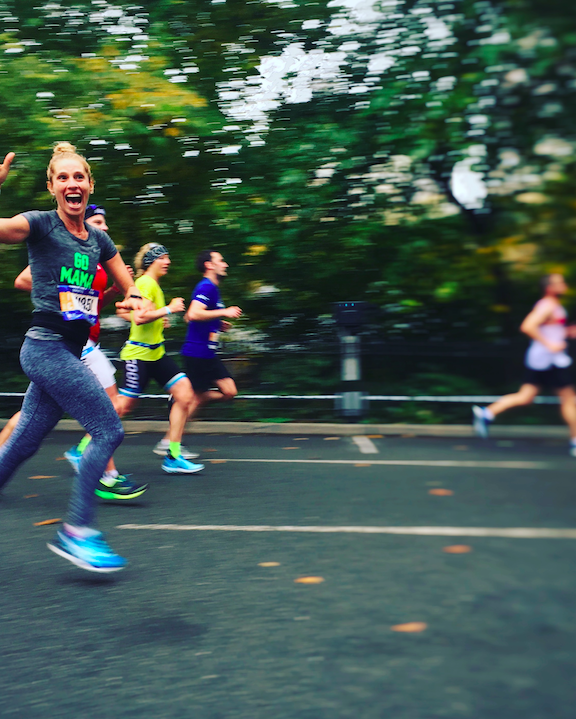 Congrats to the Josie Girl for ROCKING the NYC Marathon yesterday, finishing in a personal best 3:26 just 4 weeks after running Chicago. She is recovering this morning and will have a full recap later this week. Go Mama! Congrats to all of the runners out there, especially Shalane Flanagan, the first American woman to win in 40 years. More to come from the JG later this week.. 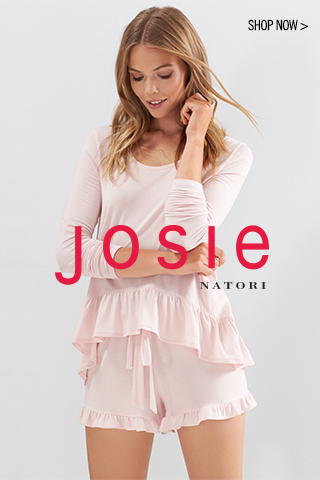 Since I spend 40% of the time in workout gear (the other 40% is equally divided by Natori pajamas and day clothes i.e.jumpsuits and rompers), I was ecstatic to find a new silhouette of a sweatshirt — cropped and boxy. It is Nike and comes in multiple colors, and as soon as I saw it, I knew that I needed two immediately. 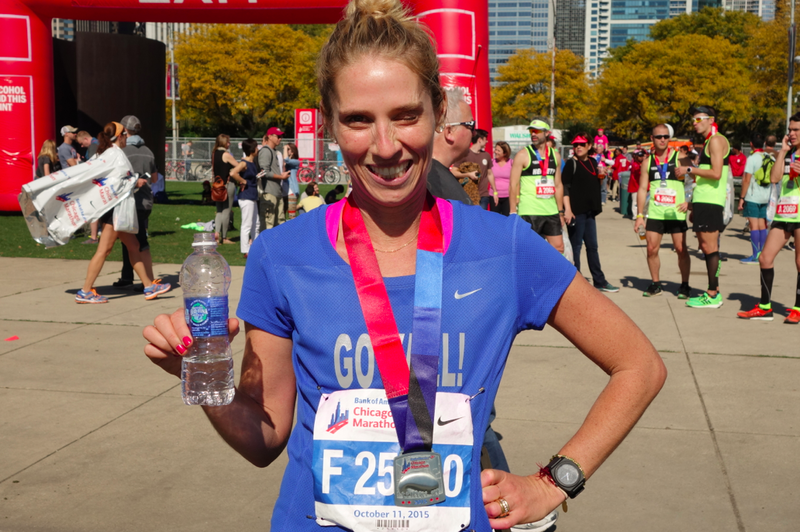 This past weekend, I ran my 8th marathon in Chicago. It was a terrific day but not a great race (or even run). It was super hard out on the course and I walked away disappointed and upset. 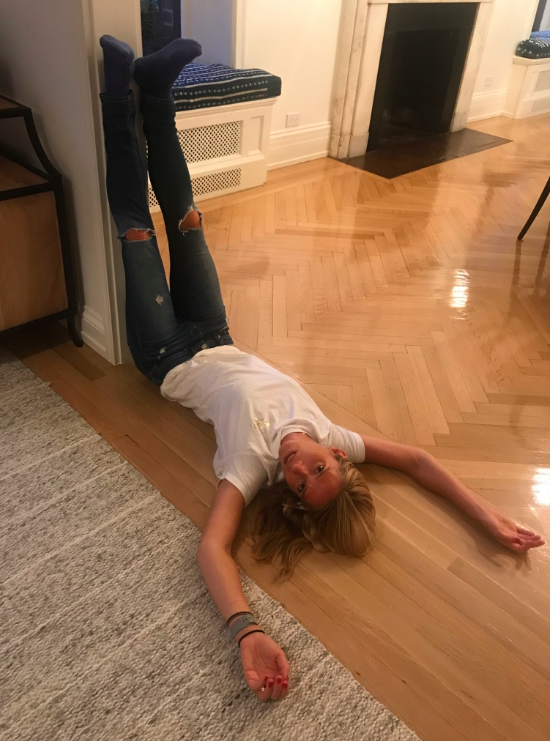 I went in hopeful after a good training season with high mileage, fast speed runs, and a strong mental set….but for whatever reason, Sunday wasn’t my day and I didn’t do well. Without making any excuses, one thing after another happened — I had a side ache from the get go (and still have it! ), my Nike App was totally off (it said I ran 27.5 miles so therefore was off the whole time, making me super confused…), I lost my caffeine gum, the top of my water bottle with my nutrition in it fell off, I sweat uncontrollably (it was 77 degrees), yada yada yada….nothing went well. 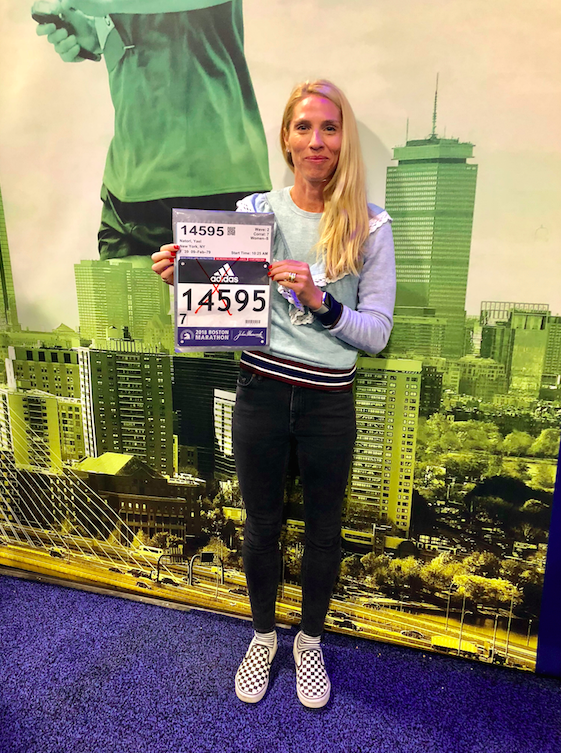 And so I started to derail mentally, and thought I should quit because each step was hard on my side and nothing felt great – …..all of that to say, it was my hardest marathon to date, both mentally and physically. I clocked in a 3:33, but know I can do much better. Since my next marathon is 11 days away (but who is counting? 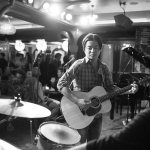 ), I am compiling motivational songs to help my runs and overall energy. Here is my latest running playlist. Enjoy! Me running, or pretending to run. Looks like I am on Mars, but I am in Utah. We just returned from a short belated 10th Anniversary celebration. Stay tuned for full details! I did it! Two days later …..and the obsession and high continue. 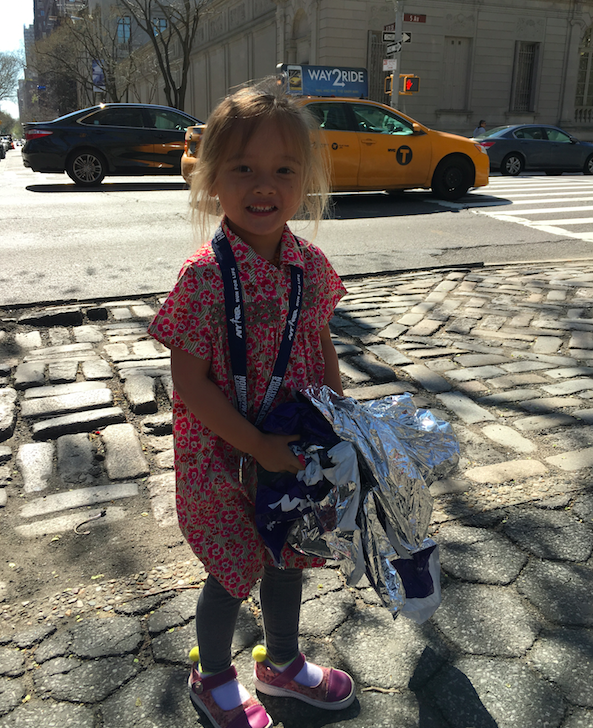 Here is my recap of the New York Marathon 2016. Breakfast. 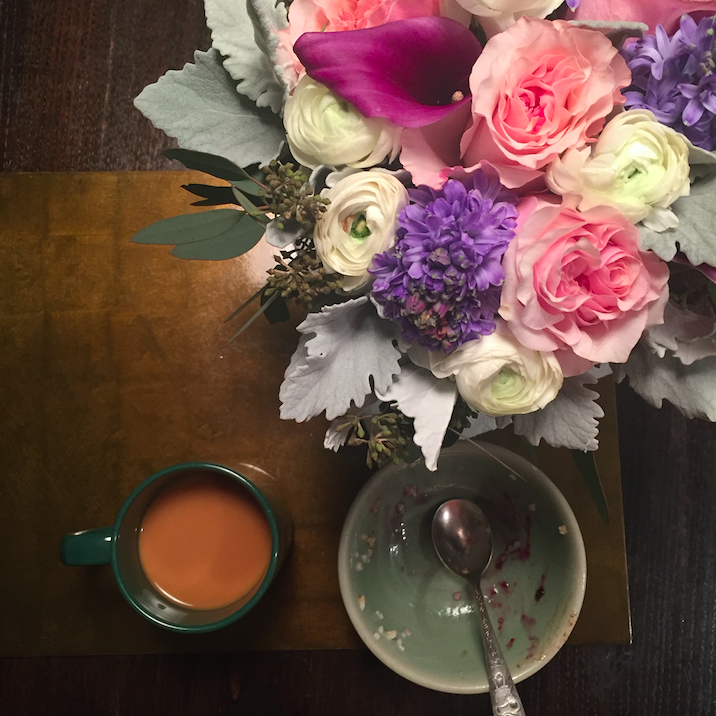 Oatmeal, coffee, and flowers (thanks Laura, for so much more than just these flowers!) And yes, I ate the oatmeal as Breakfast #1 before the day began. One of Ken’s pet peeves is listening to me LISTEN to music to add to my playlists. Yes, it is a lot of stops and starts, but I need to in order to find good workout music! Since I am yet again running the NYC marathon and doing lots of long training runs, I am fired up for my newest running playlist. Sorry, Babers! And yes, a reminder on why I run. 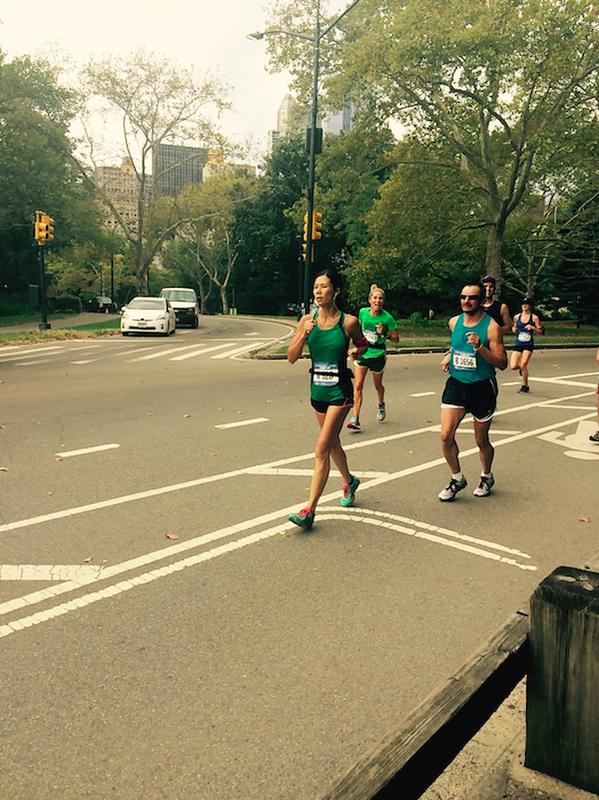 This past weekend, I laced up my running shoes and ran my first half marathon in two years. Yes, I have run a lot of marathons since 2014, but a half marathon is totally different….and it hasn’t helped that I’ve been nursing an injury for the last 6 months (GROAN). But I did it. And in a fast time for me! And it was all part of a great event celebrating women. Enjoy the pics! Post race, the little girl deserves the medal. Not that any of you asked, but for the 0.5% of the people that are interested in the running aspect of my recent marathon, here it goes! (I am an over-sharer, not an under-sharer). 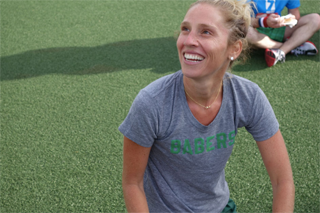 Marathons are HARD MOTHERS, like flipping H-A-R-D. Not only is it a physical exercise, but it is also a mental / emotional / spiritual challenge. 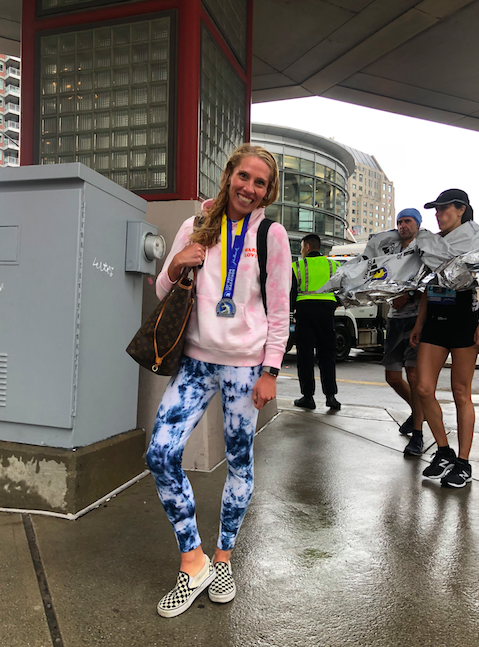 Somehow, you have to dig down into your body and make it happen — and like I said before, it is only you yourself that can make it happen….so the race recap, begins! I am SOOOO beyond heinous in this picture ( I AM A ONE EYED MONSTER! ), but I think it is a good image of what a marathon feels like (this is post marathon — notice my medal). My eye is half closed, my body hurts, I am trying to smile but I can’t. I AM A HOT MESS. But proud of it. I am always on the lookout for new workout gear as I spend a large portion of my existence schlepping around / working out / thinking about running. 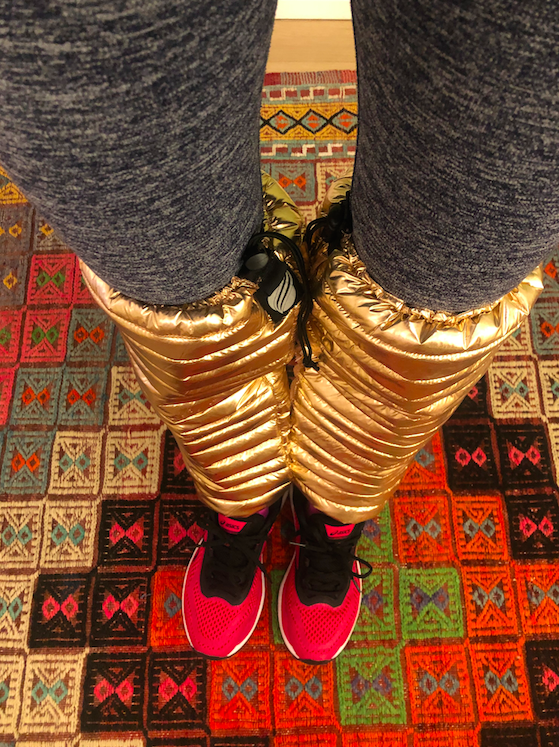 Bandier has mastered most of my workout closet, but I was still searching for the perfect short (vs legging). I have found that many things are wrong with workout shorts: too short, too tight, cotton inside (vs mesh), not flattering, generic, the list goes on and on. Until I came across Tracksmith. And now I am in love. They are expensive ($60) but worth every single cent. Seriously, they are the perfect short. 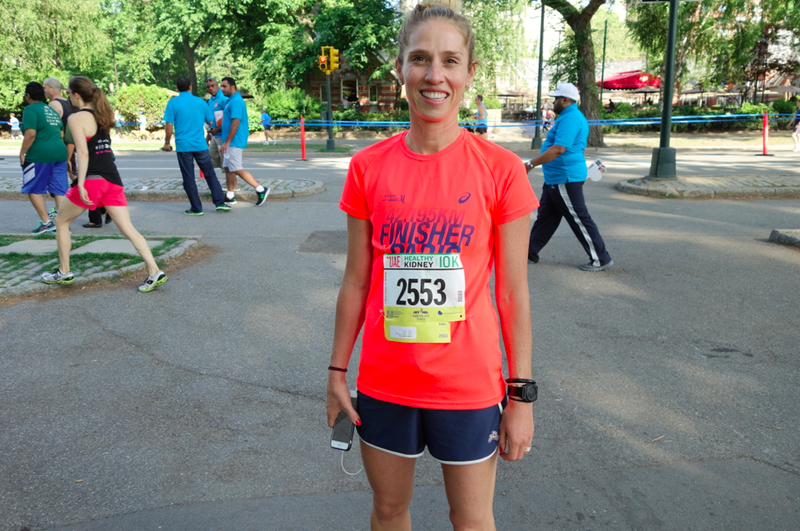 This past Saturday, at a 10K in Central Park, rocking it out in my Tracksmith shorts and my proud Paris marathon finisher shirt. 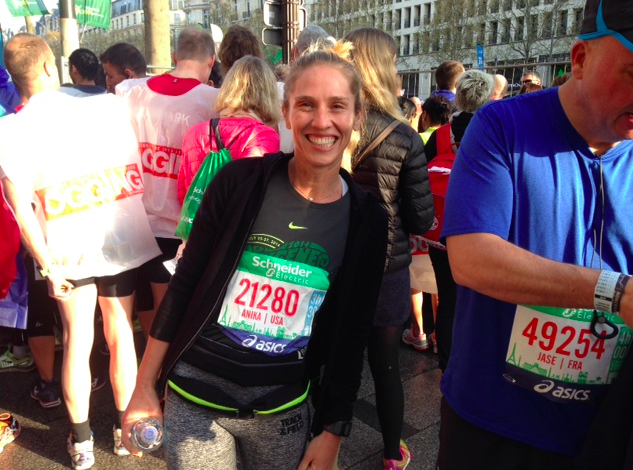 Last Paris marathon post — Promise! I just have to write one little more blurb to not have post-wedding-depression…and then back to Fashion, Fun, Family, Food, Funky! But now…fitness (get it, things that start with “F”) OK. Some more pictures! I am the farthest thing from a cool cucumber when I start a run. Hello anxiety, hello nerves. I couldn’t stomach much the morning of — I only ate half as much as I normally do pre-run, but somehow it didn’t matter. 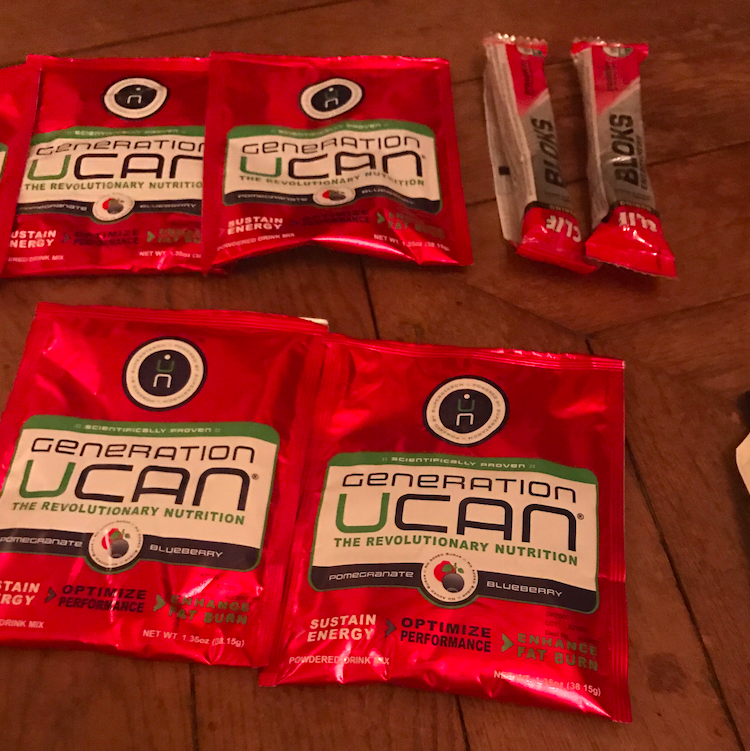 I also ate 5 GU energy packets throughout the run (miles 5 / 10 / 15 / 20 / 22). And yes, I am a geek with TWO fanny packs. Each had their own purpose, so I rocked two of them, making myself double cool. 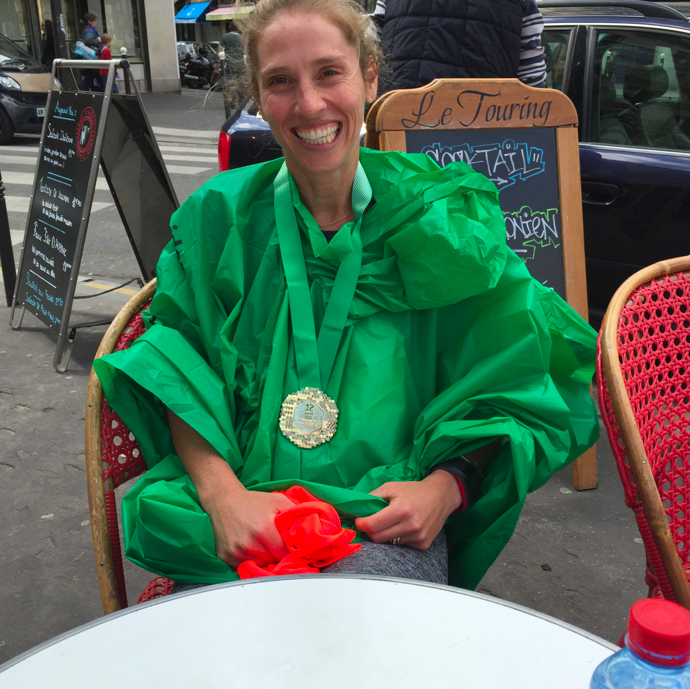 Thank you so much to friends and family far and near who supported me along the way to complete my 3rd Paris Marathon (4th overall) on Sunday morning. Over the weekend, every other minute I received an email, text, or phone call to say “Good Luck” and it truly meant so much to me (and still warms my heart). So thank you. I wouldn’t have been able to do it without all of you, so huge hug, kisses, air kisses and high fives! 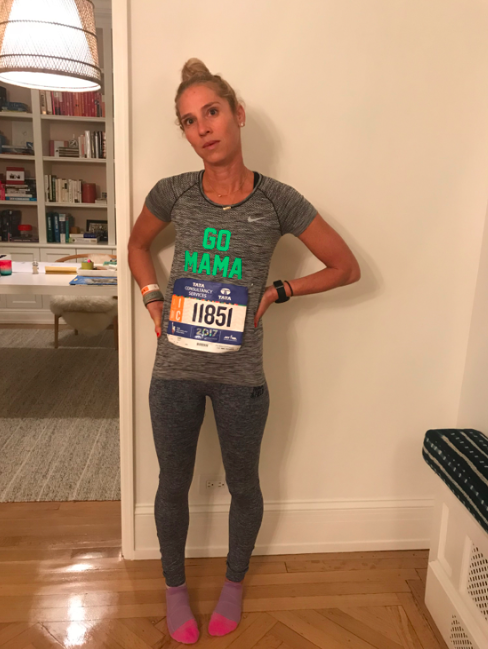 This time around, instead of doing a recap of the whole marathon (it is the same kind of emotions — success, heartache, determination, etc…), I am going to tell you what worked and what didn’t work. If you are considering running a marathon, pay attention!